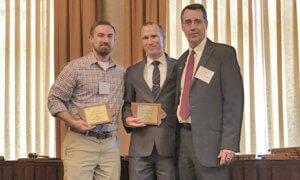 Snyder & Associates’ project manager Andy Burke, PE, (center) accepts an ACEC-IA Honor Award for the First Avenue Grade Separation project during the 2018 Engineering Excellence Awards Program. First Avenue serves as a main north-south arterial roadway in Iowa City, Iowa. Each day, approximately 13,000 vehicles utilize the corridor, with future volume expected to increase. Due to a mix of development in the area, including South East Junior High School, the corridor is also home to a notable amount of pedestrian and bicycle traffic. With an average of two to four trains passing through the area and blocking First Avenue every day, there were major traffic delays and safety concerns for vehicles and pedestrians. Traffic studies reported an average wait time of 10 to 20 minutes for idle vehicles while the crossing was blocked. Commuters that chose to explore alternative routes were detoured at least four miles to the nearest grade-separation crossing at Summit Street. Recognizing the need for improved traffic flow and safety throughout the corridor, Iowa City began exploring its options in 2005. Flooding and other unforeseen circumstances postponed the project for a few years leading up to 2014 when Snyder & Associates was contracted for the project. 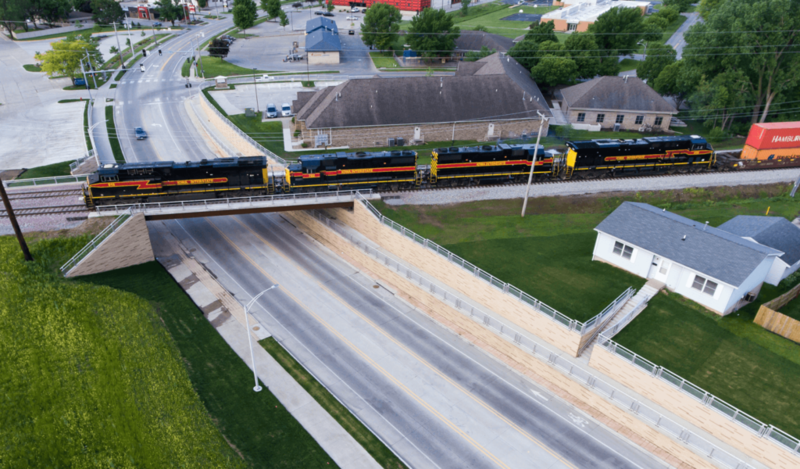 To avoid conflicts with train traffic altogether and allow for seamless traffic flow on First Avenue, we developed a plan to lower First Avenue approximately 16.5’ and raise the Iowa Interstate Railroad (IAIS) 5’, creating a grade separation crossing. Stage 1 – Water main, storm sewer, onsite detour roadway, and railroad shoofly construction. Stage 2 – Critical closure to complete onsite detour roadway and railroad shoofly construction. Stage 3 – Retaining wall, bridge abutments and wingwalls, mass grading and paving, and new north IAIS railroad construction. Stage 4 – Completion of mainline paving and junior high paving along with a critical closure to connect the new north (IAIS) railroad across the onsite detour roadway. Stage 5 – Completion of the retaining wall, side path, and parking lot construction. 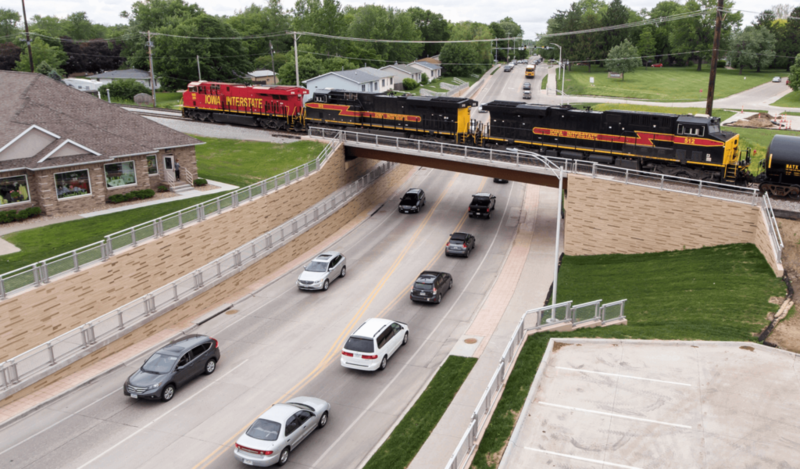 A new railroad bridge, street paving, retaining wall, storm sewer, water main, and other related work was included as part of the project. The existing four-lane arterial roadway was reconstructed as a three-lane section with a bike lane in each direction. Significant retaining walls were constructed to include aesthetic elements, such as a decorative form liner, stain, and aluminum railing. Total project construction cost is approximately $10 million. 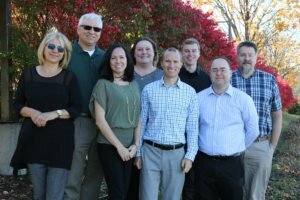 Project funding includes $2.4 million from the Surface Transportation Program (STP), $500,000 from the Traffic Safety Improvement Program (TSIP), and $550,000 from the IAIS, with the remaining dollars covered in general obligation bonds. The project used a unique design with a significant change in grade and infrastructure construction. All project goals were achieved in a fully developed area with no direct impact to existing structures. Keeping all transportation corridors open to the fullest extent was a primary goal during construction. Using an onsite detour roadway, one lane of traffic could traverse the corridor in each direction, while providing a large area for construction to occur. To maintain unimpeded service for the IAIS, a shoofly railroad track was designed and utilized. During design, the need for a storm sewer pumping station was eliminated by finding a means of gravity draining the project. This resulted in significant savings in terms of construction costs and ongoing maintenance. 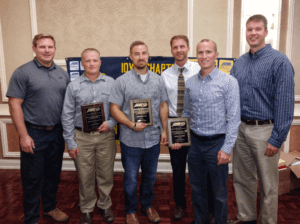 During the APWA Iowa Chapter’s Annual Fall Conference Awards Banquet, Snyder & Associates proudly joined staff members from Peterson Contractors, Inc. and the City of Iowa City to accept the Project of the Year award in the Transportation category, greater than $2.5 million. 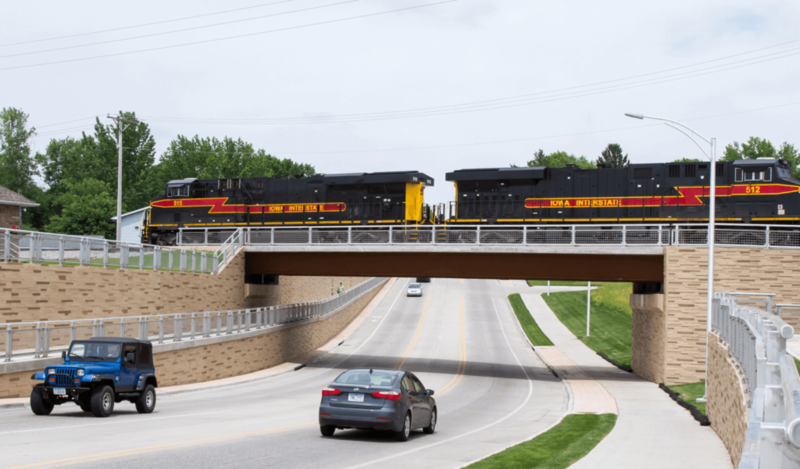 This project also received the ACEC-IA Honor Award in the Transportation Category during the 2018 Engineering Excellence Awards Program on May 9, 2018.